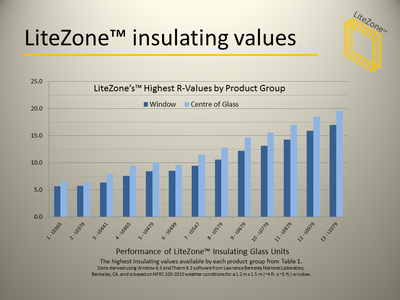 Visible light transmission - LiteZone Glass Inc.
LiteZone™ achieves high R-values with good visible light transmission. 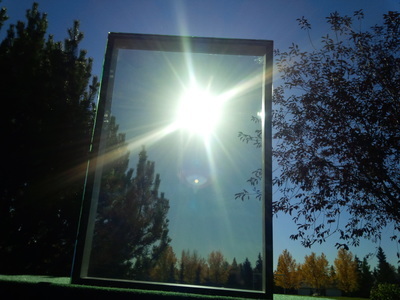 To achieve very high window R-values a glass unit will necessarily have a lower visible light transmission (VLT). 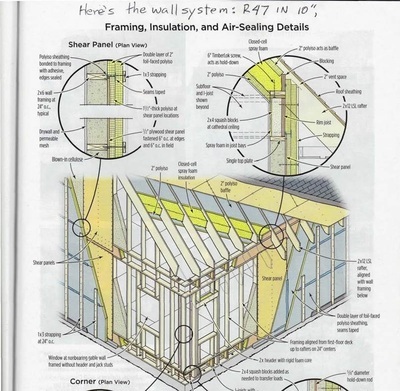 Because the human eye will adjust to the amount of available light, most people will not notice a reduction in VLT until it falls below about 30%. Many commercial buildings have VLT below 30%. 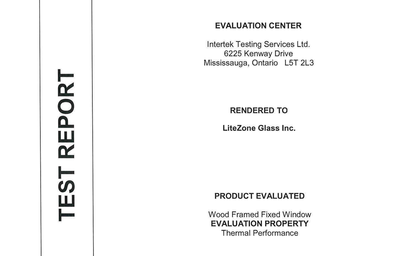 For example buildings using grey tinted glass have a VLT around 25%. 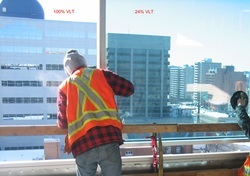 The adjacent photo shows a curtain wall panel being installed. The left side is open and therefore has 100% VLT which can be compared to the tinted glass on the right side with 24% VLT.